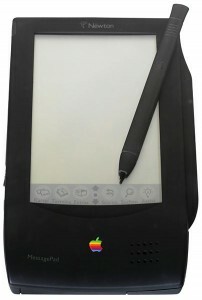 Apple introduces the Newton MessagePad, one of the world’s first Personal Digital Assistants (PDA). The term PDA was first used by Apple CEO John Scully in 1992. While a commercial failure, the Newton platform set the bar for future PDA designs. But perhaps the most important advancement the Newton offered to the technology industry was the development of the ARM processor architecture. Apple invested heavily in the fledgling architecture to power the Newton devices. The ARM architecture has been the foundation of most of the world’s mobile devices since that time, including all versions of the Apple iPhone and iPad. Incidentally, in 1998 Apple sold their ownership interest in ARM, generating $800 million. This gave Apple some much needed cash to carry them through their darkest days.